This is a Sponsored post written by me on behalf of ANN INC. CAREERS for SocialSpark. All opinions are 100% mine. 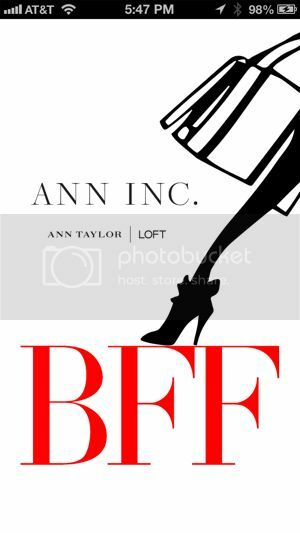 ANN INC.* just released its first mobile app called BFF which stands for BEST FOOT FORWARD. I love this!! If you are looking for fashion advice, daily inspirational mantras and quotes from the great fashion icons and more… look no further. BFF is your 24/7 friend in the fashion business. Download it on either iTunes or Google Play. What Else Does The ANN INC. BFF App Offer? Explore up-to-the-minute fashion news through constantly updated fashion and fashion-career news feeds. Trendspotter: Take Instagram pictures of yourself putting your best self forward, inspiring and connecting, or embracing fashion first! Use the hashtag #bfftrends and you will be featured on the APP! (You know this is my FAVORITE FEATURE because I am OBSESSED with Instagram). Hear career advice from fashion leaders in ANN INC.; learn more about the culture of ANN INC. and their words of advice for you. Explore career opportunities at ANN INC. and sign up for notifications so you know when new jobs, relevant to your interests, are available. Keep track of all the news, inspiration, videos and jobs that help you put your best foot forward every day by saving them to your account. 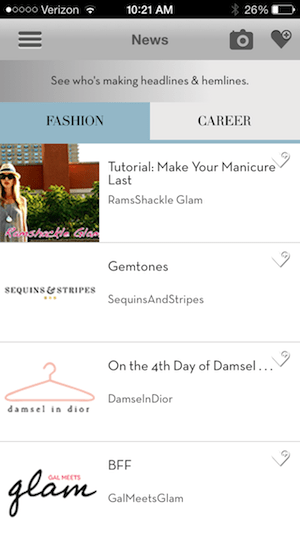 The BFF app will help you with all of your fashion needs – whether you're looking for a new career or trying to stay up-to-date on the latest industry news/trends. Let ANN INC. help you put your BEST FOOT FORWARD. Download BFF today and check it out today. ANN INC. is represented by two of the leading women’s specialty retail fashion brands in North America: Ann Taylor and LOFT.